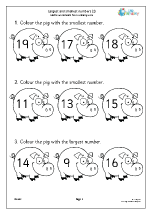 A great selection of colourful pages for children to order small numbers below 10, from smallest to largest. 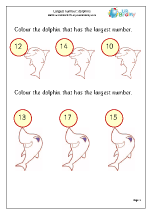 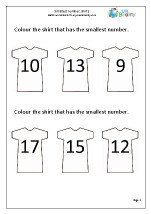 Once children are confident with ordering small numbers they can move on to ordering three numbers in the teens. 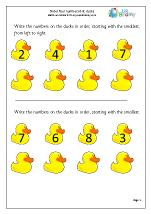 Children are asked to understand and use the vocabulary of comparing and ordering numbers, saying which is larger, smaller, the largest or the smallest. Identifying a number between two others is also included. 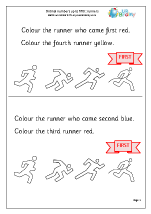 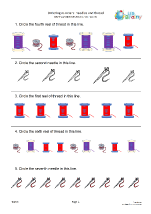 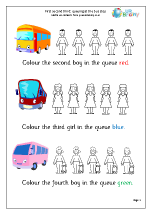 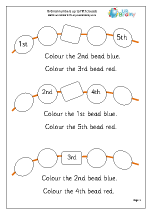 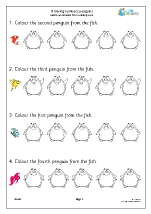 In Year 1 children will be taught to use ordinal numbers, identifying first, second, third etc. 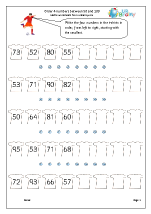 For those most confident with number here are some ordering pages using larger numbers. 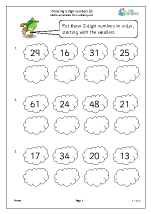 Partitioning 2-digit numbers is also included. 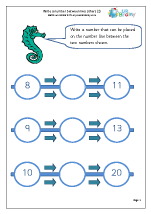 Once children are happy with counting on and back in ones they can begin to order a set of small numbers and position them on a number line. 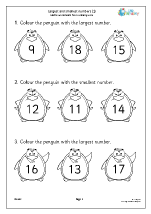 Placing things in order can come up in many practical situations in school and at home, including giving out pens, paints, etc . 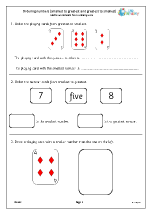 A pack of cards is an excellent resource, where any three or four cards can be turned over and then placed in order. 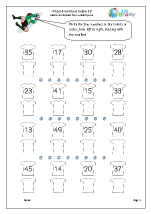 There are two important aspects to ordering numbers. 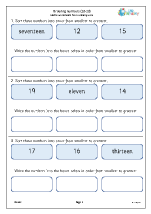 Firstly, a knowledge of numbers gained from counting and extending number sequences. 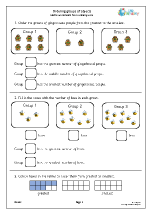 Secondly, an understanding of and use of the vocabulary of comparing and ordering numbers, including ordinal numbers such as first, second, third and fourth. 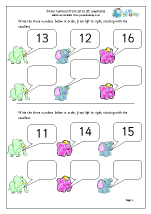 Terms such as most, least, smallest, largest and between are used in Year 1 and children are expected to understand and use these to compare and order numbers. 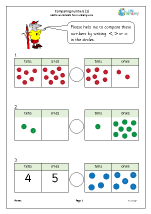 Partitioning numbers is a term used to describe the splitting up of numbers into parts so as to make them easier to work with. 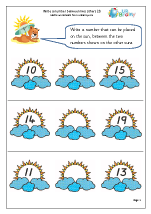 One of the main parts of this is to recognise 2-digit numbers as being made up of tens and ones or units. 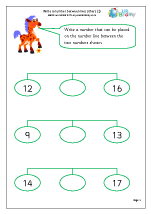 For example 47 can be partitioned (or split) into 4 tens and 7 ones or 40 and 7. This is really helpful when children are trying to calculate mentally (in their heads), so a sum such as 34 + 48 can be done by adding 30 + 4 + 40 + 8. 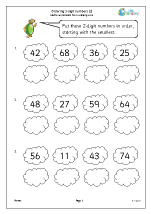 Add the tens to make 70, then add the 8 to make 78 then add on the 4 to make 82. 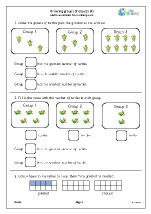 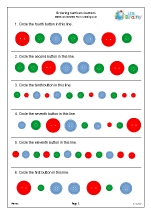 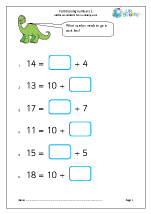 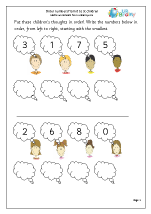 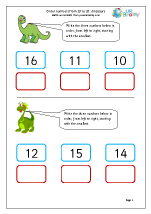 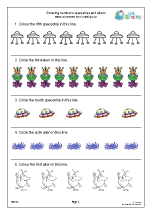 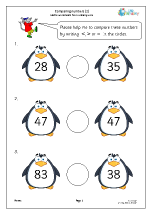 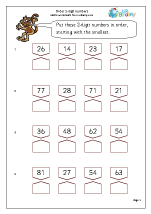 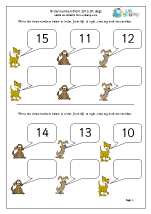 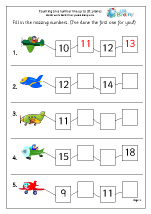 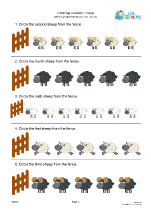 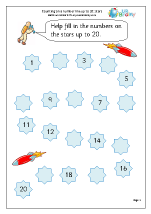 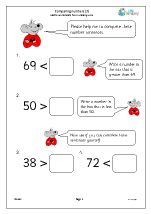 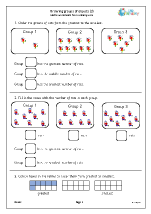 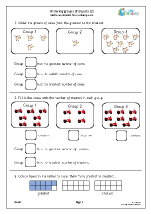 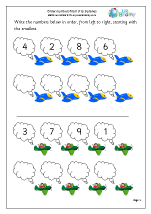 Partitioning numbers is taught in Key Stage 1 and we have published our very latest sets of worksheets to help with this. 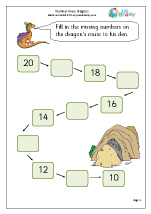 We believe that it is important that young children really enjoy their maths so our worksheets are full of great illustrations. 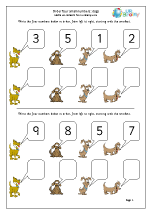 One of my favourites is the ordering four small numbers with dog illustrations.